Feature Image Credited to Amazonaws. I am amazed at how many people have tooth socket infections and don’t know it. Typically invisible to dental x-ray, tooth socket infections remain the most common potentially life-threatening finding observed at The Thermogram Center. Let’s celebrate the success of one woman whose surprise thermal finding preceded a healthy 62 pounds of weight loss. As many of you know from my previous writings, tooth socket infections can lead to jawbone cavitations, cancers, heart attacks and deaths. Yet, they are called silent killers because they do not typically show on x-ray or create any sensations in the mouth (not early). Cavitation results when microbes move beyond the gums and tooth socket to infect the bone, leading to pockets of infection - bone necrosis. Imagine “mush” in place of dense, healthy bone. Cavitation can result after a root canal or dental procedure; clenching, grinding, biting or trauma that leads to hairline fractures or cracks of the teeth or their roots, among other causes. Once a tooth is root canaled it is essentially dead and toxic to the body. 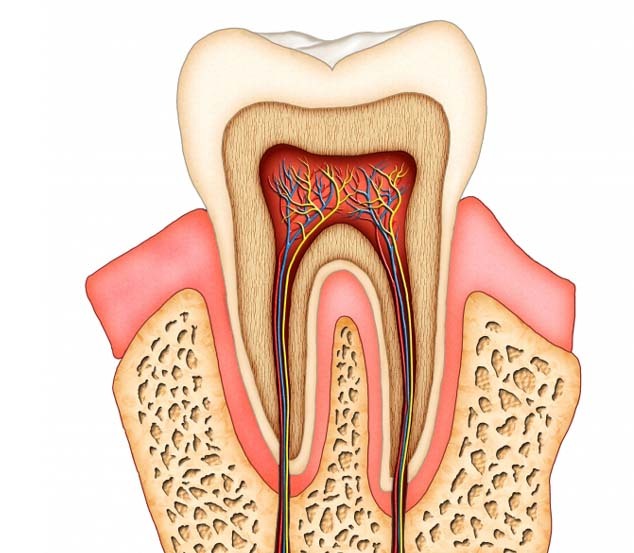 Each tooth and its roots have about three miles of microtubules, which can become infected with microbes. When a root canal is performed, the tooth is hollowed out, filled with a plastic material of coagulated latex and then crowned. While the tooth is essentially “dead,” not all the miles of tubules have been filled. As a result, remaining microbes can proliferate, mutate to become anaerobic, and live on surrounding healthy tissue for nutrition – the periodontal ligament and surrounding bone. Have you heard the term gangrene, the decomposition of body tissue? The dead tooth in itself is toxic. Worse yet, the toxic microbial infections in teeth sockets have been linked to heart attacks, (breast) cancers, and rheumatic, kidney, neurological, and autoimmune diseases, and more. ask them if they’ve had a root canal. The Thermogram Center, former camera. In 2012, this client realized she had cracked root canaled tooth #5 when a piece of its crown came out of her mouth. Her dentist repaired the crown. Months later, she came to The Thermogram Center for routine thermal imaging of her breasts and body. While she was asymptomatic and her dentist thought all was well, her face images revealed significant findings. She was subsequently referred to an oral surgeon for further evaluation. A tooth socket infection was diagnosed that was also in the bone. Her tooth was extracted. Bone grafting and a zirconia implant and crown followed. The Thermogram Center, current camera. Note the symmetry in the colors and thermal patterns of her cheeks and the absence of any significant heat, or infection, near tooth #5. Since (early) tooth socket infections do not typically show via dental x-ray but create heat, consider The Thermogram Center to detect early warning signs. Teeth imaging is recommended every 3-5 years. When warning signs are present, or you are in need of a dental specialist, we can provide referrals that can diagnose and treat infection and cavitation. As an alternative to root canal, consider ozone injection. If the tooth cannot be saved, consider a biological dentist/oral surgeon who provides: pre, post and operation protocols that support the immune system; extracts the tooth, the periodontal ligament and one millimeter of the surrounding bone; and provides a clean-room environment and oxygen/ozone. See the Tooth-Organ Chart in our Preventive Support library.